Genius is easy to see in the real deal. Mercury’s combust or conjunct alignment with the Sun today for a moment, is the perfect time to remember the life of a modern genius. Mercury, when aligned with the Sun, can produce moments of genius in our lives. Anyone can access the genius in themselves. Elon Musk, for example, may have become a multi-millionaire while still in his twenties, founding PayPal, but even we can follow in the footsteps of this winged messenger who, after starting a PhD in energy physics at Stanford, changed course and went into launching online companies, and today makes petrol-free cars and rockets to the space station and Mars. Elon Musk is a South African entrepreneur in the power industry who enabled the revolution away from fossil fuel vehicles to electric battery vehicles by going open source. Until he did this, all patents for alternative eco-friendly, non fossil fuel cars were bought up by the motor industry and shelved. All the solutions that could have saved the atmosphere and health of the planet and millions on it were deliberately hidden from us so that one or two corporations run by a handful of men could enjoy untold riches for several generations. Solutions to the fuel and pollution problem have been around since Tesla almost 100 years ago. He discovered ways to empower every person on the planet without wires, by enabling them to tap into the unlimited power source that drives everything, but greedy financiers pulled his funding so that they could make a bigger profit off a weaker solution. That solution is today’s problem, namely the carbon emissions from our cars, power stations and planes. The only way Musk could get the go ahead to empower the world with his technology was to give it away for free to everyone at once. That way the big corporation could not block the release of the knowledge by buying the patent on it. This was his vision and benediction actually, by posting the specifications or blueprints online as open source or free info, anyone who wanted could take the design specifications and produce a petrol-free car, running on cheap, clean energy. Within three years BMW had taken those very same blueprints and developed their own petrol-free car and now you and I can purchase just such a car, and soon millions will follow suit and the wave will be unstoppable. This could never have been possible without the basic fundamental kindness of heart of Elon Musk, the Nicola Tesla of the twenty first century. You don’t have to be a rocket scientist to consider yourself a genius. The real miracle performed by this guy is that he was able to stand up against the global conglomeration of the oil industry and motor industry by finding the fire of the gods and being able to give it to everyman, so that the power that is rightfully everyone’s, can be liberated and thus liberate every one of us. That compassion and selfless sharing with the world rather than putting his personal profit first, is the real example we can all apply in our own personal journey to genius. With the Sun and Mercury in harmonious trine to Jupiter at this their time of “cazimi”, combust or conjunction, it is as if a kind and benefic uncle has smiled on us for once, blessed us with his generosity and changed the course of history in one swift move. “Pay it forward” is the theme here where we cultivate a little compassion and share the love, or in Musk’s case, the power. Random acts of kindness benefit not only the recipient but also the one bestowing the kindness. Now is the time to dig within and find our sharing gene, our caring gene, the part of us that realizes that we are all in this together, that to love your neighbour as yourself, is the bottom line on the stone tablets and always has been. The rest are just details. With the ability to give, without an expectation of receiving, or without selfish motive, one person can change the flow of the current, turn the tide and start a revolution. Any one of us can be the good guy in the movie of our lives. Jupiter now in trine to the Sun-Mercury conjunction will give us a sneak into what it means to be compassionate, kind, generous and confident enough to know that uplifting others does not require us to lose out. A rising tide lifts all boats. When the merciful rain falls is doesn’t only fall on one man’s house. “Pay it forward” and you start a chain reaction of an anonymous gift being received by a stranger, perhaps at a toll booth or ticket office. You awaken in the heart of the stranger the insight that there are caring people in the world. It’s not just a dog it dog scenario. Then their heart opens up and they grow to a point where they see life in a better light and maybe they also continue the forward movement of the gift of pre-payment, and so the chain reaction is started. Eventually you have a culture of people in a society who see the norm as being the decency only normal between good people in community and in harmony. One thing leads to another and before you know it the world has changed, one degree of separation at a time. Soon the six degrees of separation affects everyone, and the big greedy corporation becomes squeezed out of the equation. It is up to anyone and yet also everyone to initiate the ripple effect in the right direction to stem the tide of decay on our ability to see the bright side, to be the bright side and to empower everyone to remember their bright sides, their ability to be light and share light and love with whomever they encounter. What great people do, common ones follow. Whatever standards they set all the world pursues. 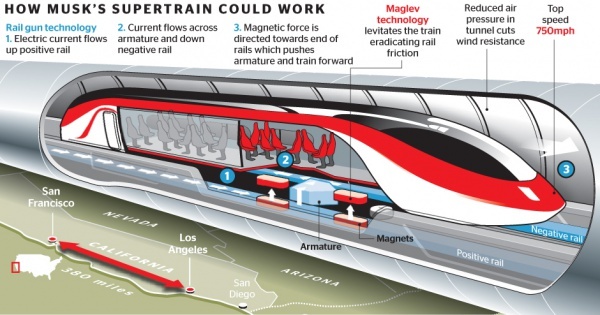 Within the next ten years Elon Musk will have us using the Hyperloop technology, travelling on public transport at 700mph, while being cheaper than rail. What acts of genius can we share with the world by then? Today is the day that Mercury goes Cazimi – into the heart of the Sun. The Sun’s rays are so bright that any planet within 8 degrees of the Sun is considered “combust”, and thus its strength in a chart is considered diminished. However, the exception to this is when the planet comes to an exact alignment, within 17 minutes (there are 60 minutes to a degree of zodiac arc.) At this position, as we have today from sunrise South African time at 05h15 in my location, the planet is more powerful than ever in its influence. This peaks at 16h00, which would be an ideal time to conduct your ritual, design your talisman, offer your prayer or meditation to invoke the blessings of Mercury, and continues until 04h00 tomorrow18 Nov. Since Mercury rules the intellect in a horoscope, this will make the intellect burn brighter, so to speak. It is as if the Winged Messenger has entered the throne room for a personal audience with the Sun King directly. The symbolism of Mercury reminds me of Narada Muni, the transcendental space man and eternal sage mentioned in the ancient Vedic texts like Bhagavat Purana, who could travel to all worlds or dimensions – Hell, Earth and Heaven – via the sound vibration he made on his Vina musical instrument. He is allowed the audience of the Divine Lord Vishnu whenever he chooses. These astrological terms originate way back in the mists of time to the ancient Greeks and Arabs at least since the time of Christ and before, as well as the Ancient Indian masters who even pre-date that. 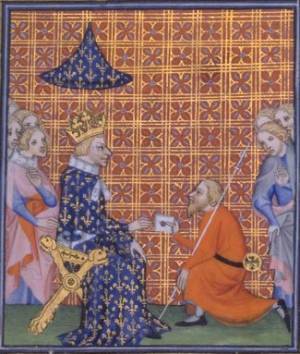 Then the Medieval scholars carried it forward, and it has been handed down ever since. So these are not new concepts, but rather tried and tested observations based on the movement of the stars in the night sky. Any baby born today with Mercury conjunct or so tightly aligned with the Sun, is blessed to be in possession of some kind of brilliance, and will very likely be an intellectual or business genius. So congratulations to you! There are two such points of exact alignment of Mercury and the Sun about 3 times a year, making 6 days in total, and 3 of them, the “Superior conjunctions” – when Mercury is on the far side of the Sun from Earth’s point of view – are most potent. And today is one of those. It is like the full moon stage of this particular planetary cycle. Actually all planets can make this exact alignment with the Sun whenever they are seen as conjunct, though such times occur randomly and less often throughout the year. Because Mercury is so close to the Sun it occurs most often. 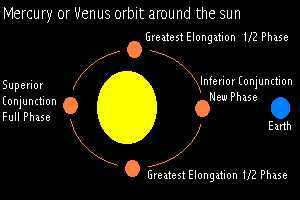 Venus, being also closer than us to the Sun, also has more regular such exact alignments. And when a planet becomes thus invisible due to the effulgence of the Sun’s rays, its influence becomes less physical and more astral or ethereal in the personality on that day, or in the life of one born that day. So if this article seems highly intellectual yet a bit ethereal or abstract, you know why.